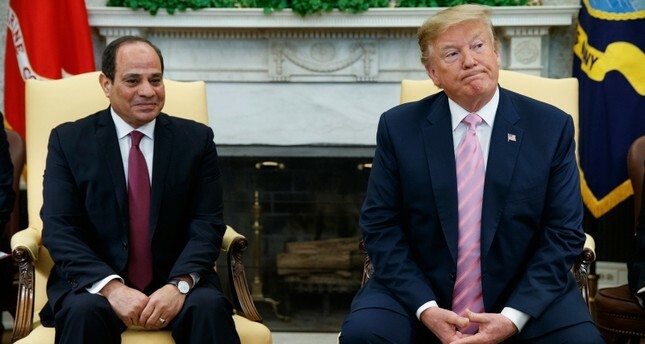 President Donald Trump on Tuesday praised the "great job" he said is being done by Egyptian President Abdel-Fatah el-Sissi, despite widespread criticism over Sissi's human rights record. "I think he is doing a great job," Trump said as he sat down for talks with Sissi in the White House. "We have never had a better relationship between Egypt and United States than we do right now." Egypt is one of the biggest US strategic partners — an Arab country that made peace with top US ally Israel 40 years ago and a major recipient of US aid. Later this month, Egyptians are expected to take part in a referendum that could see Sissi extend his rule beyond the end of his second term in 2022. Constitutional amendments would also increase the military's political role and bring the judiciary under Sissi's control.